You needn't waste much time on these. They look pretty much the same as they have since the Ford administration. 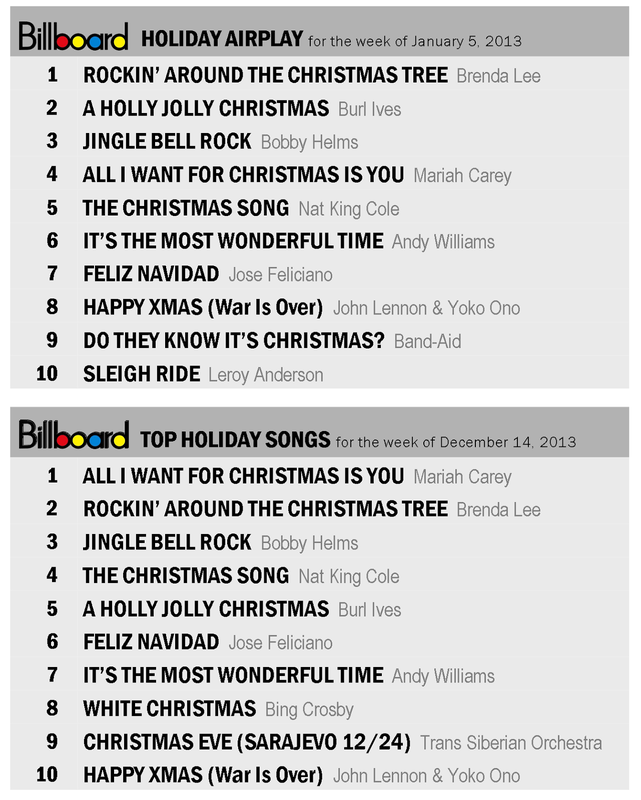 In fact, the only real change of note since last year is that Wham's "Last Christmas" fell of the chart (Praise God!). 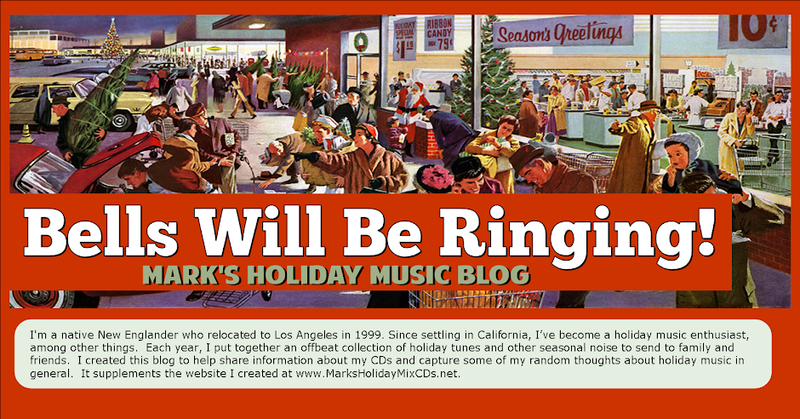 It was replaced by this radical "new" tune called "Sleigh Ride," which was recorded in 1950! I guess I sort of get why people are pulled toward some of the old chestnuts for Christmas, and I'm fine with that. What I don't understand is why we don't have at least a few radio programmers somewhere in the land who'd be willing to take a chance now and then and play something new. And I also don't understand why Billboard goes through this ridiculous charade of publishing new holiday song charts each week. Why bother?